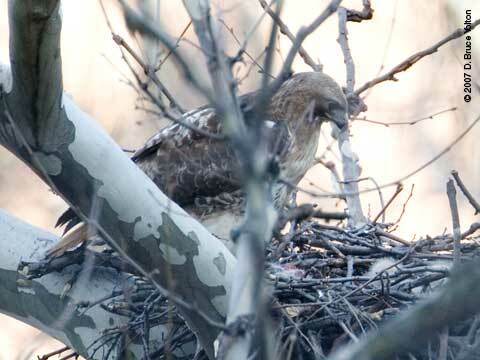 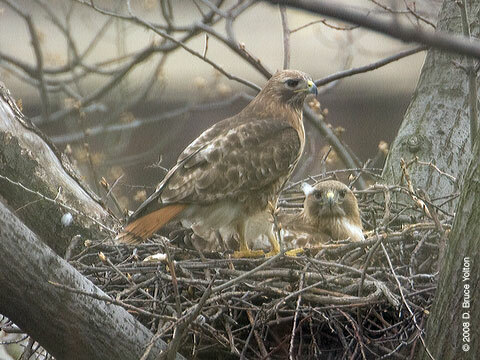 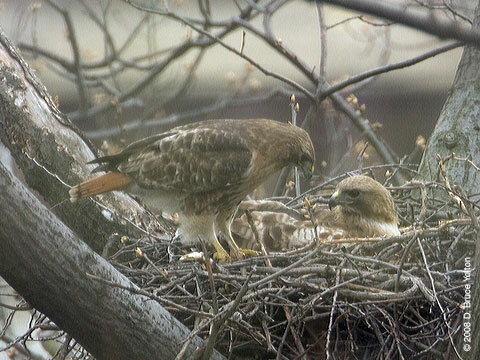 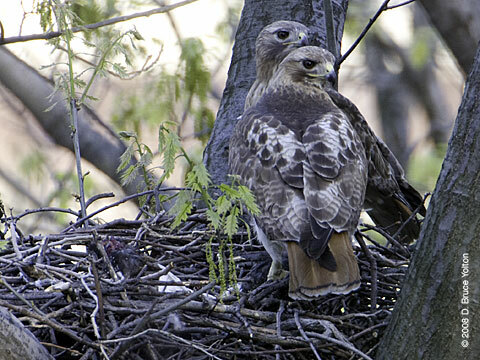 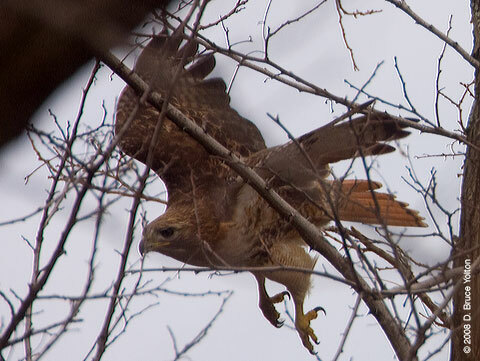 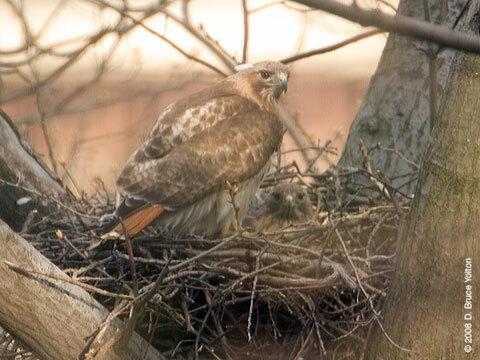 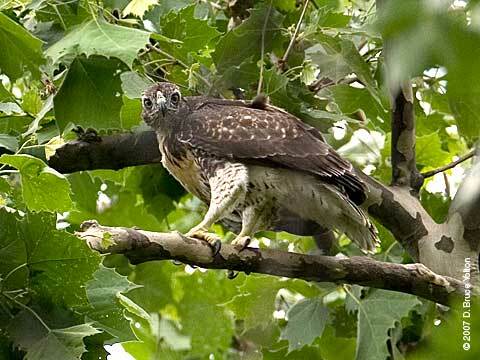 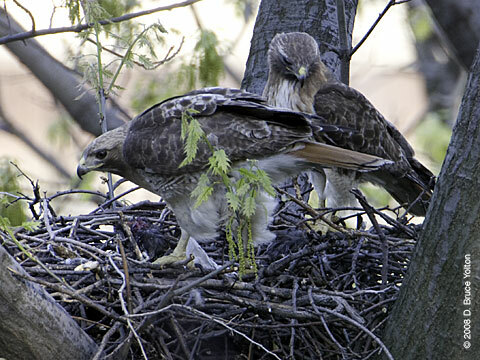 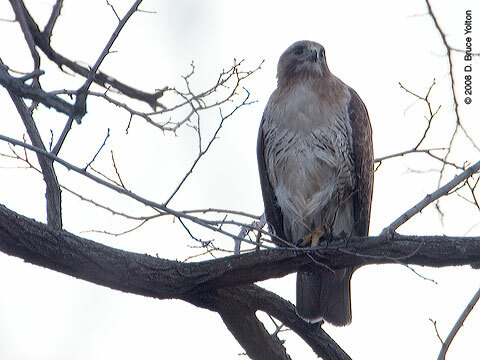 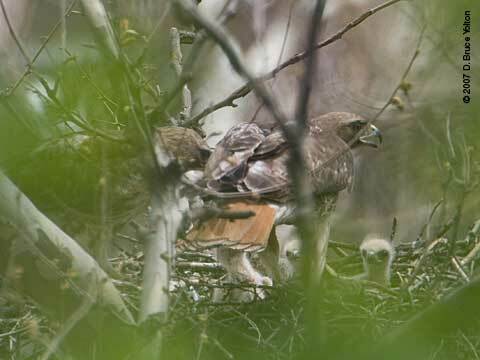 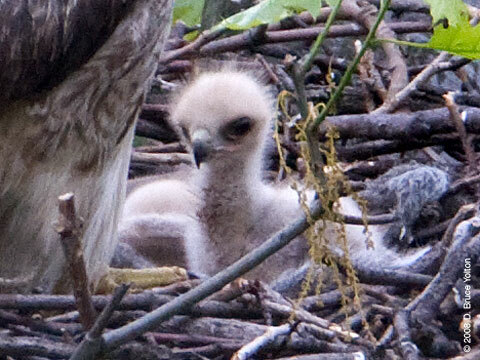 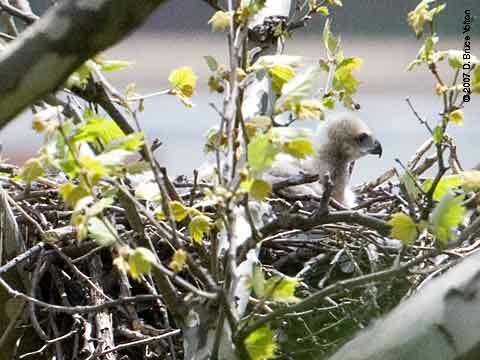 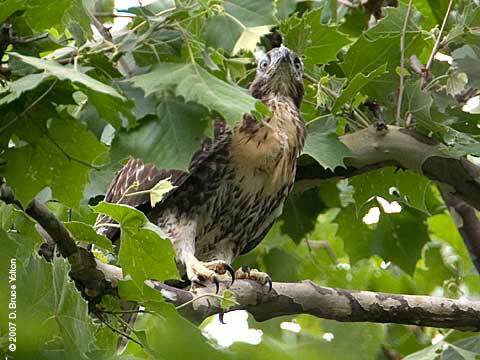 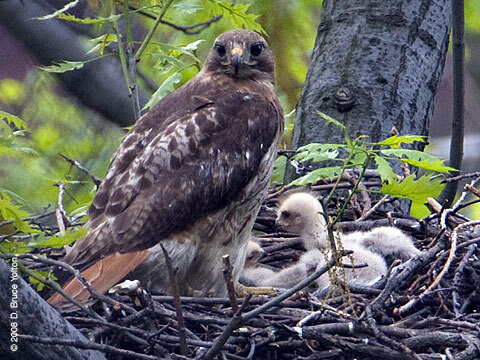 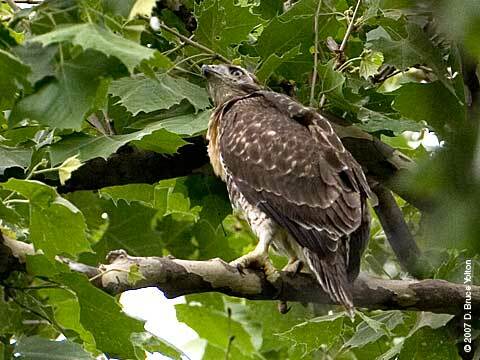 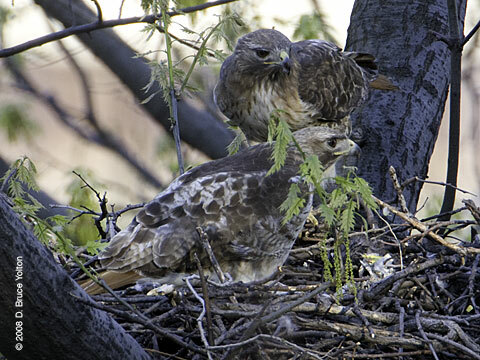 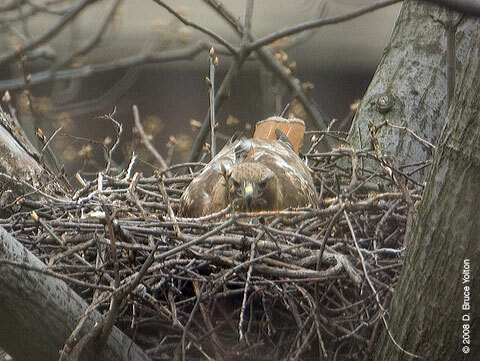 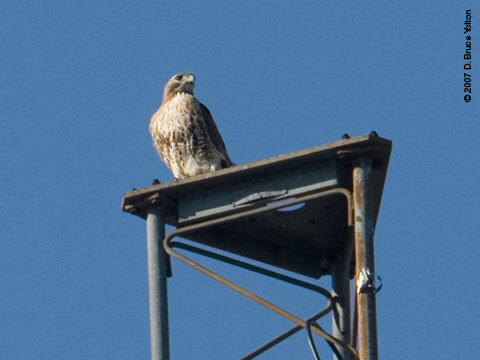 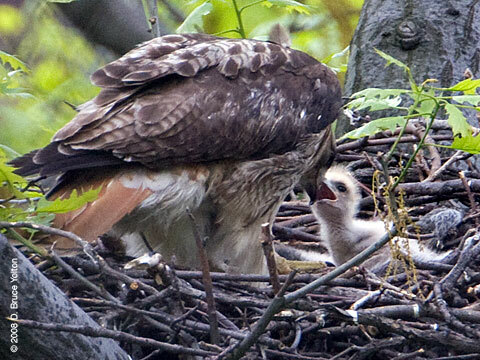 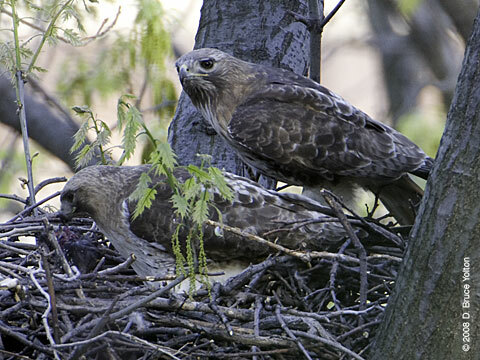 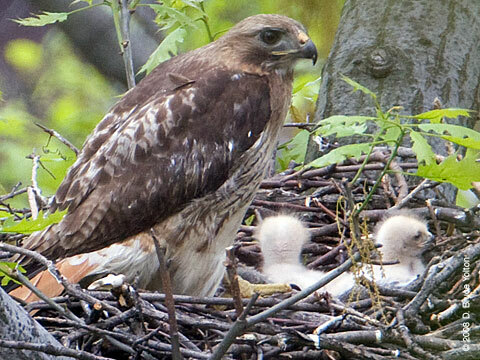 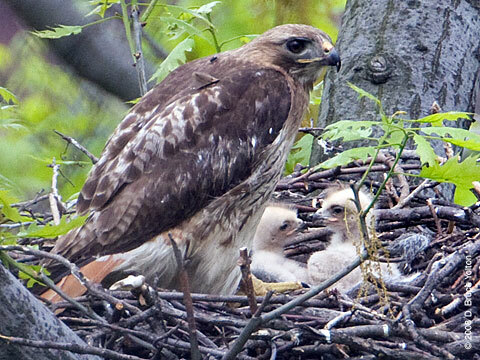 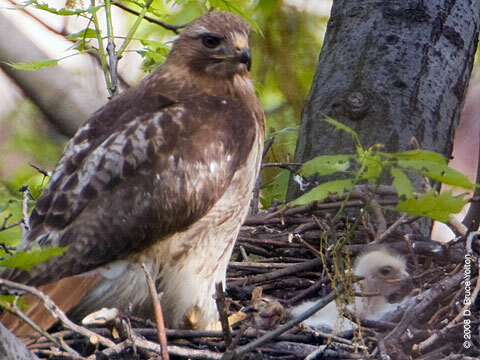 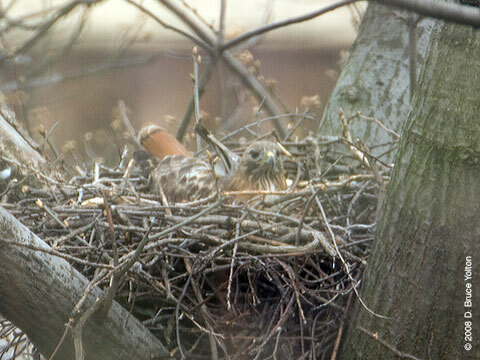 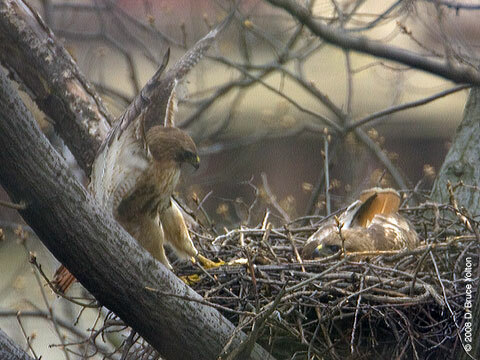 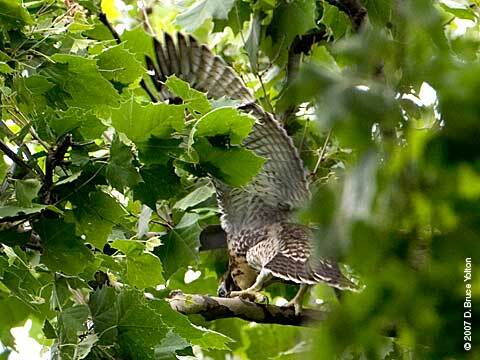 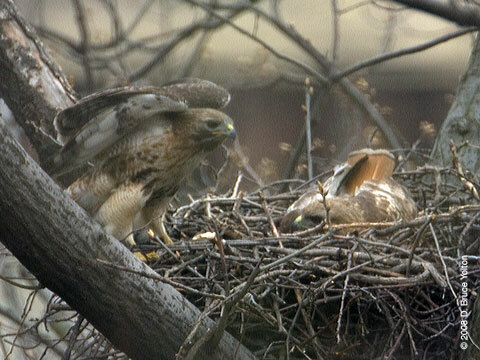 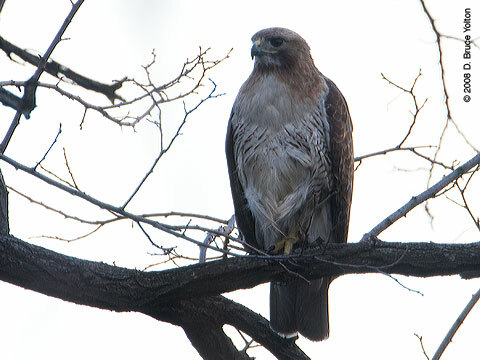 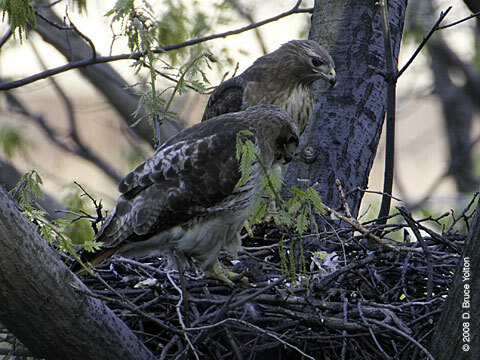 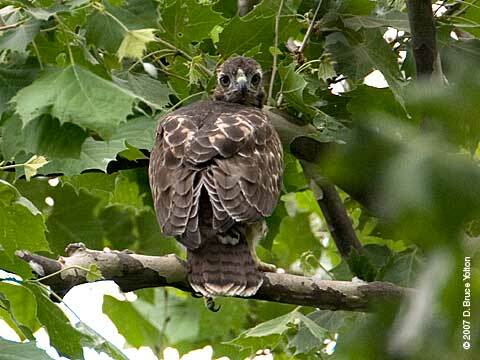 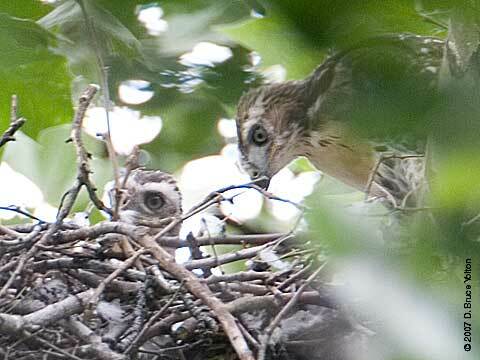 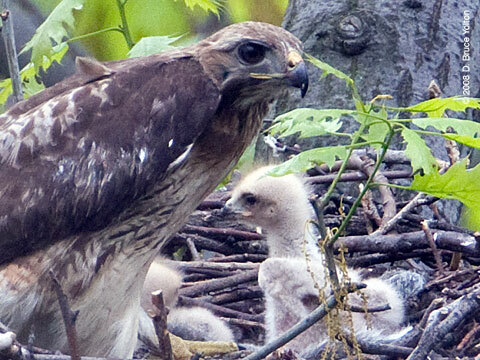 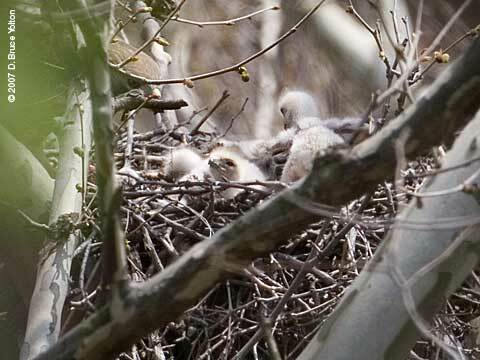 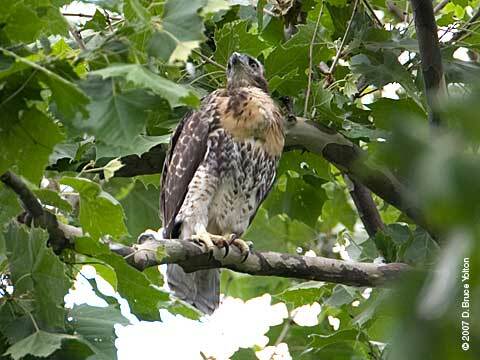 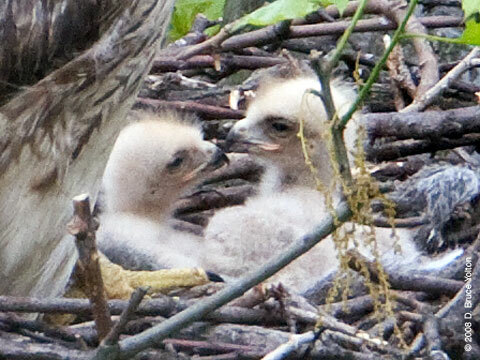 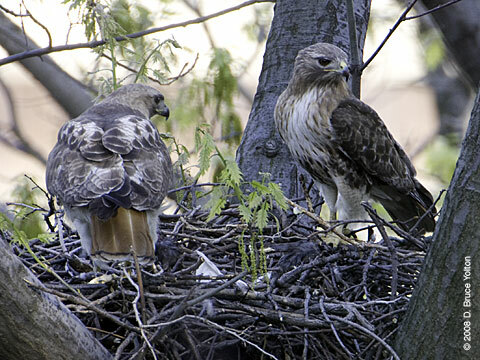 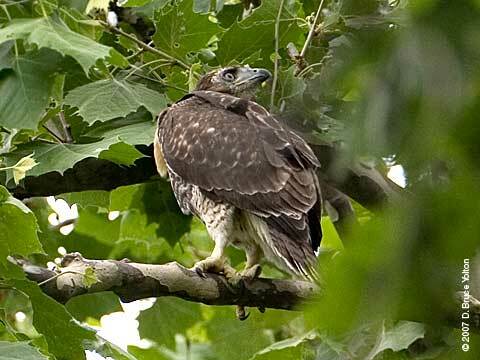 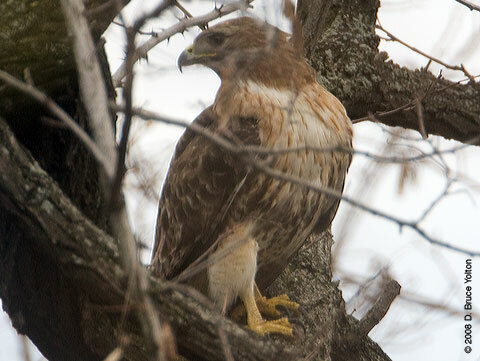 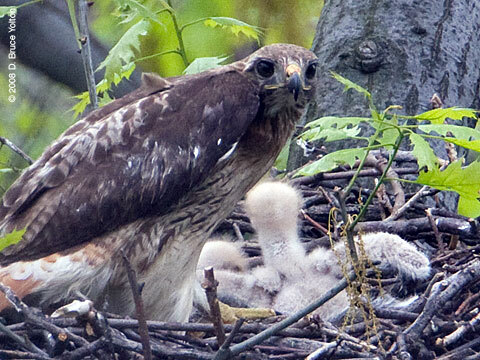 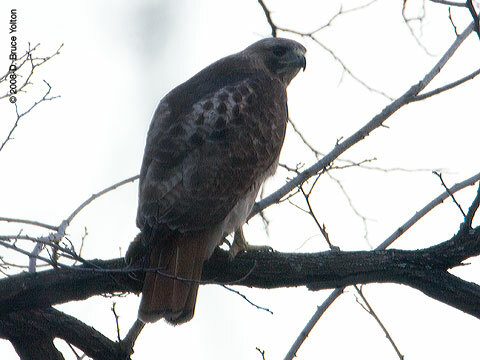 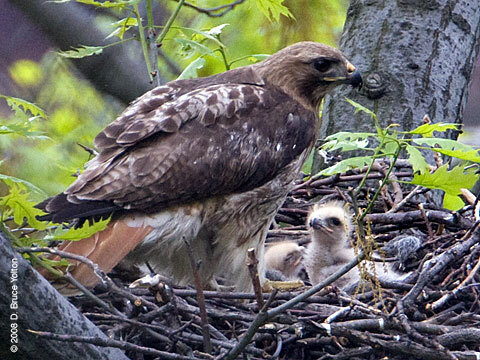 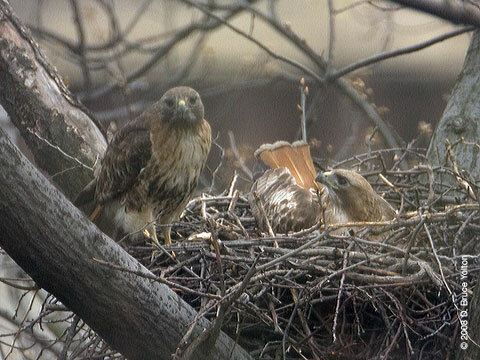 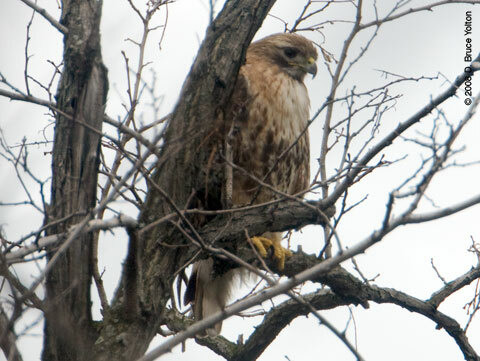 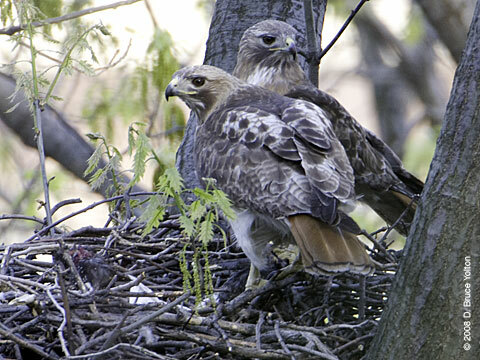 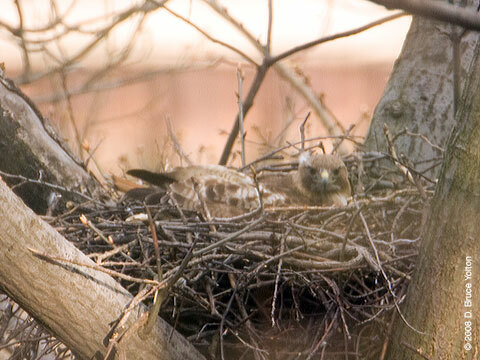 The two Highbridge youngsters were alert and active Sunday afternoon. 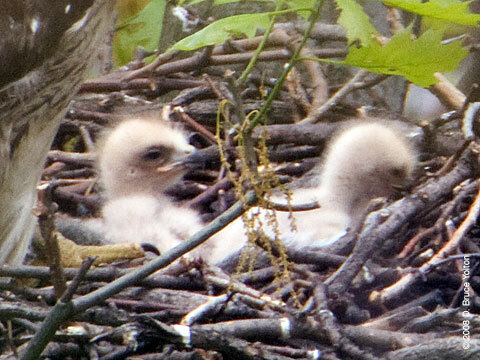 They're at that "toddler" stage where they use their wings to crawl around and flop down a lot. 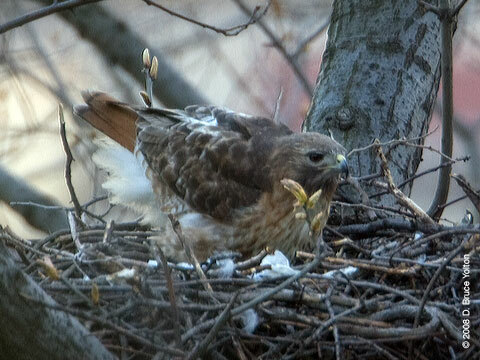 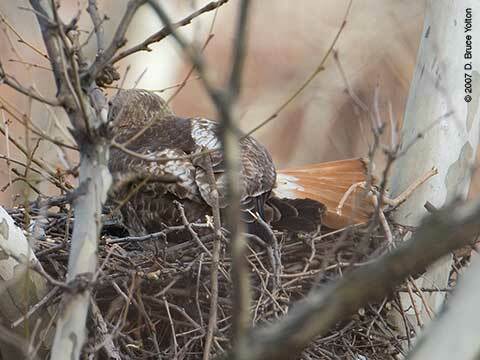 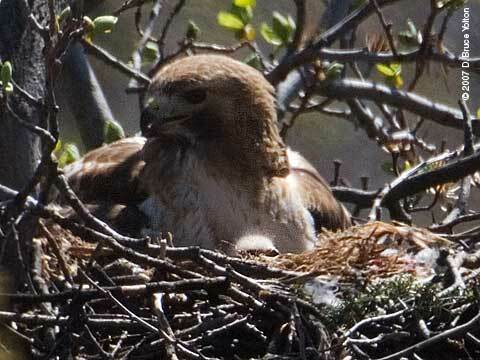 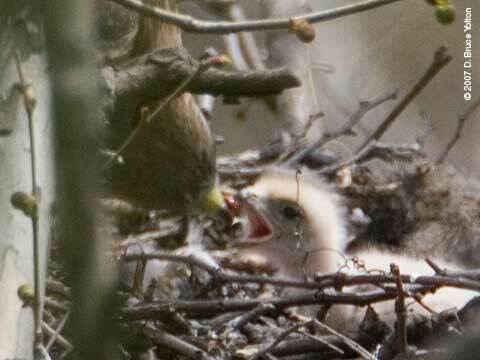 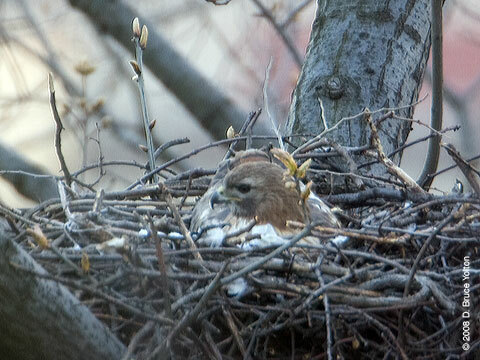 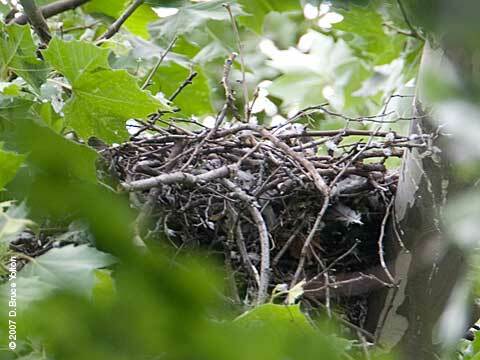 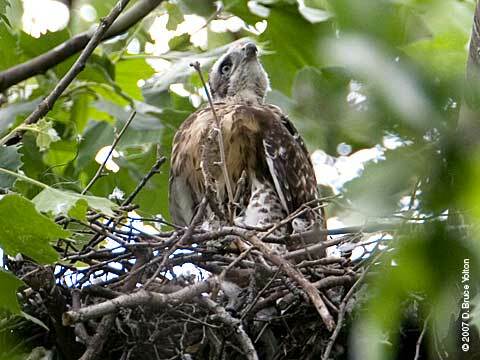 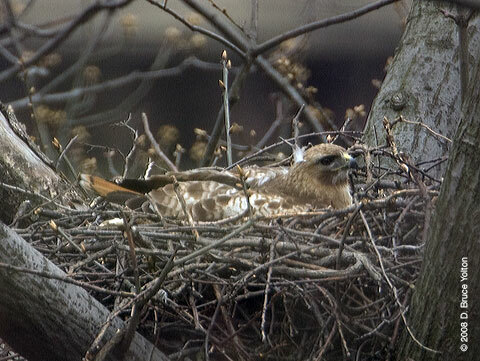 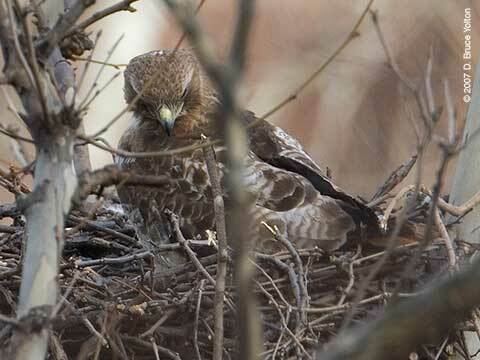 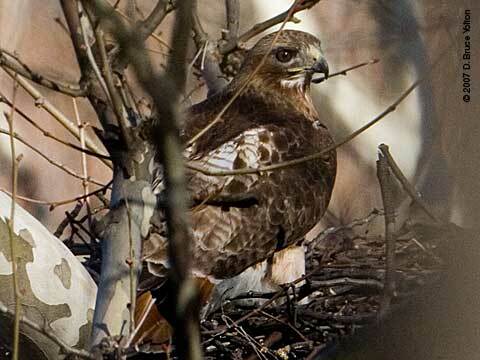 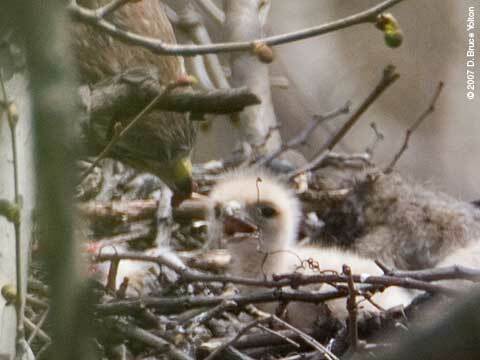 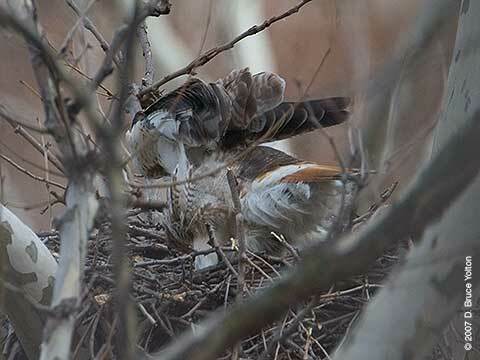 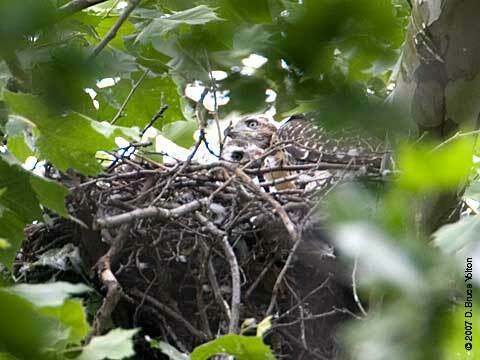 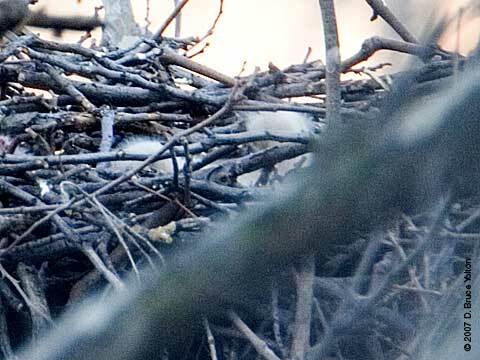 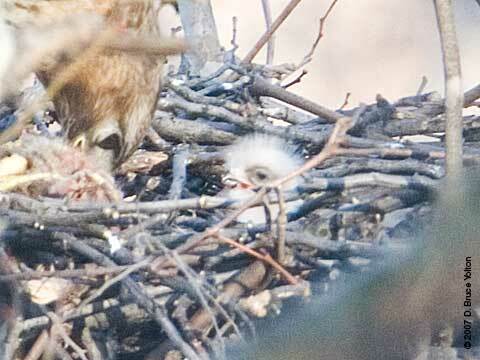 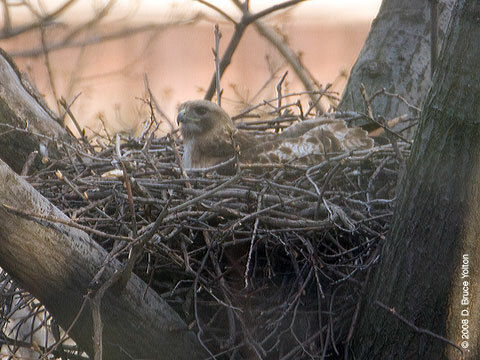 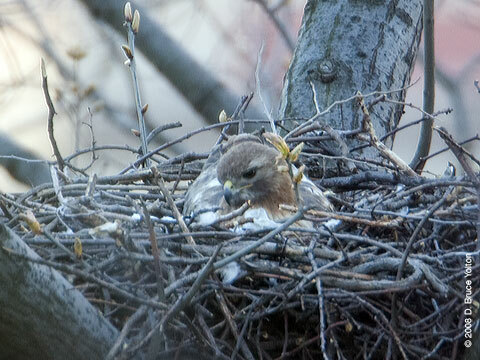 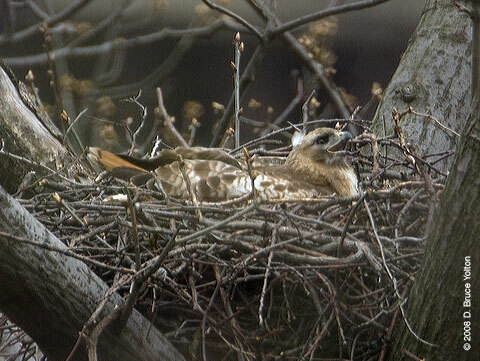 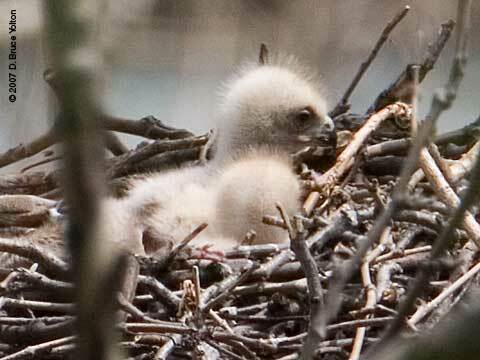 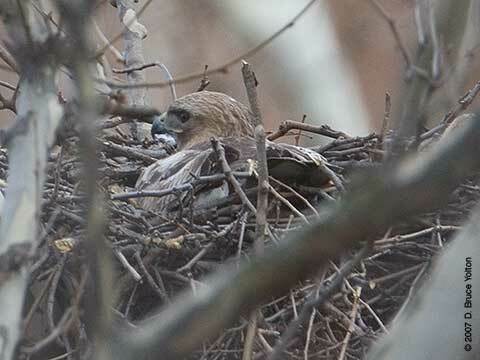 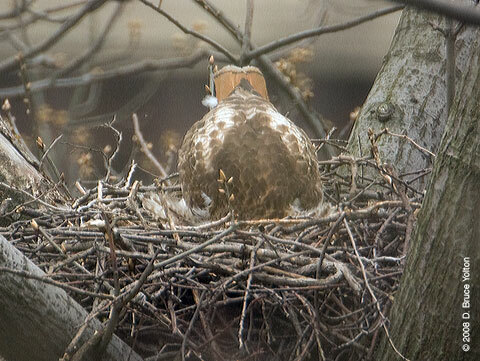 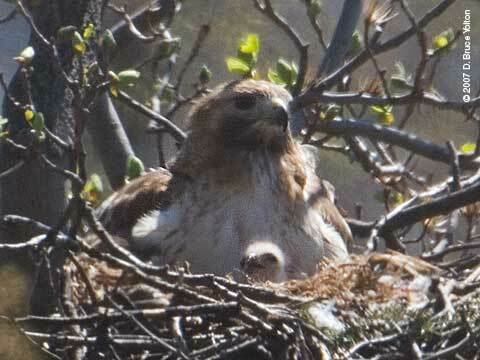 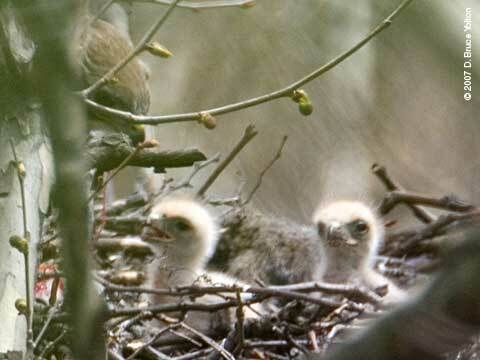 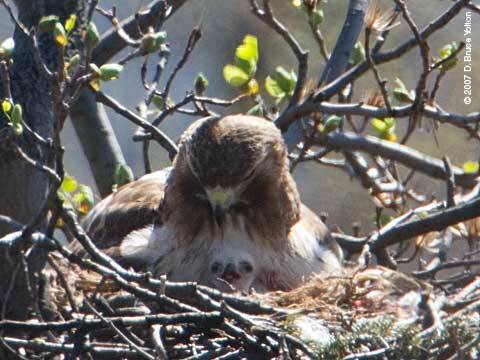 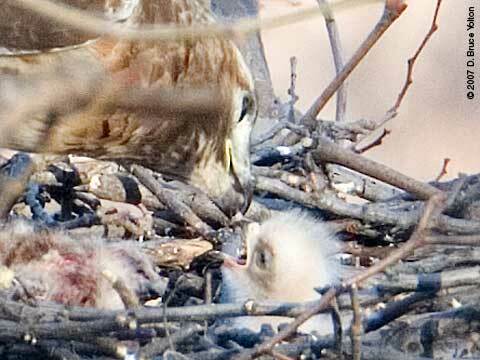 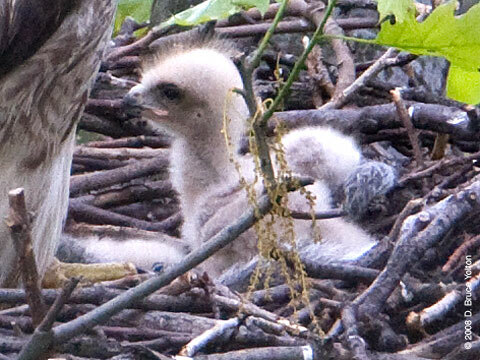 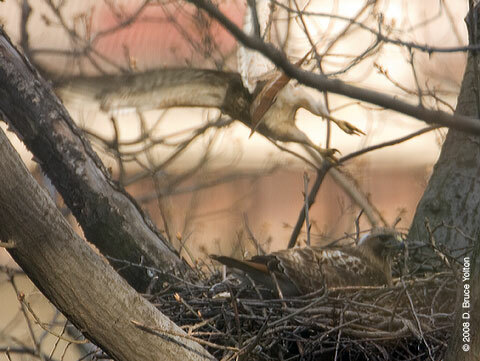 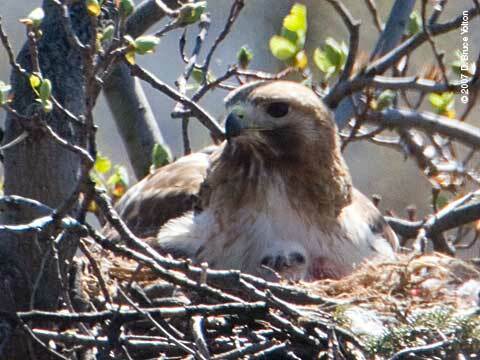 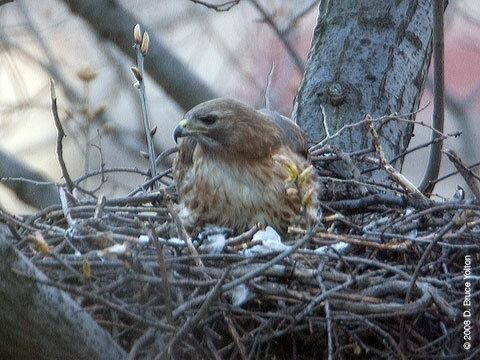 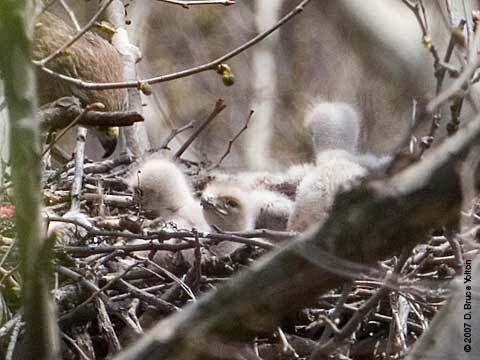 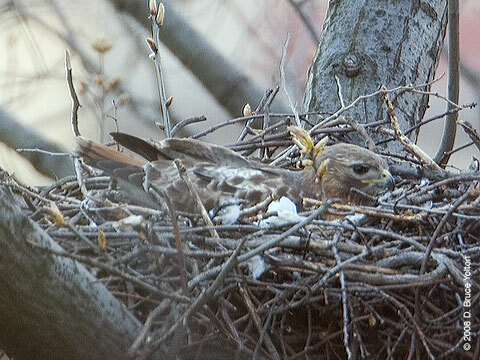 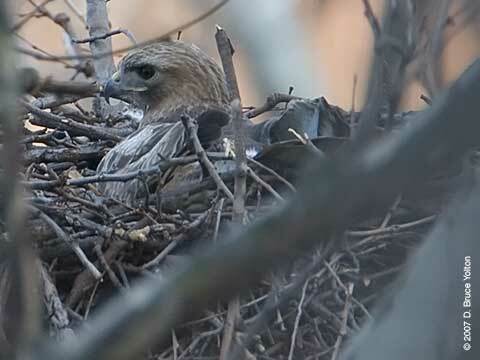 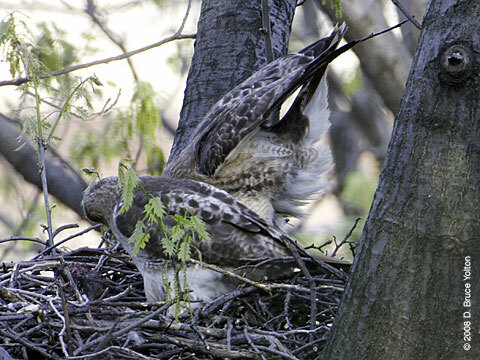 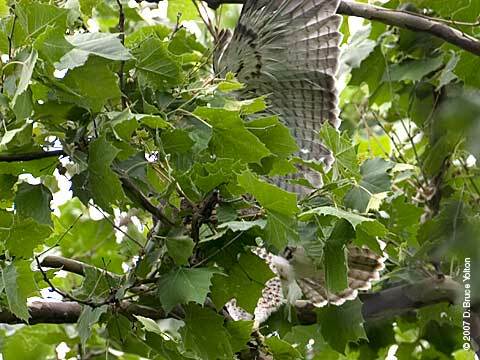 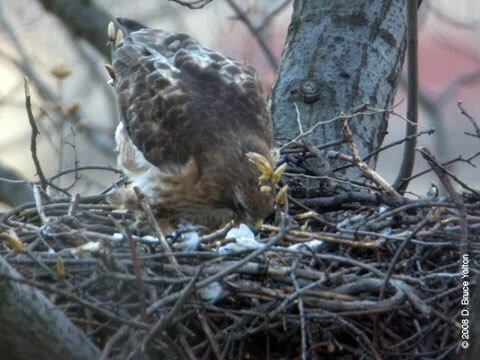 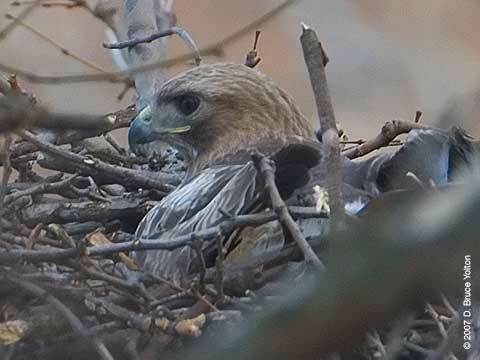 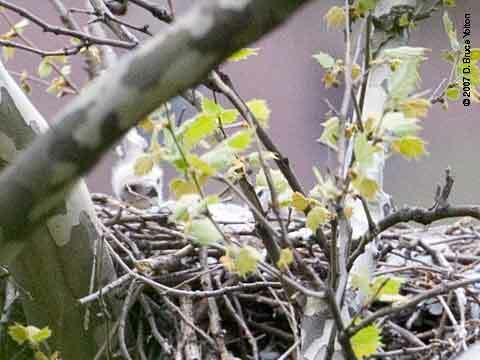 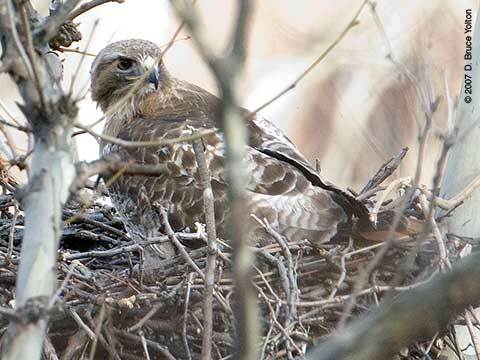 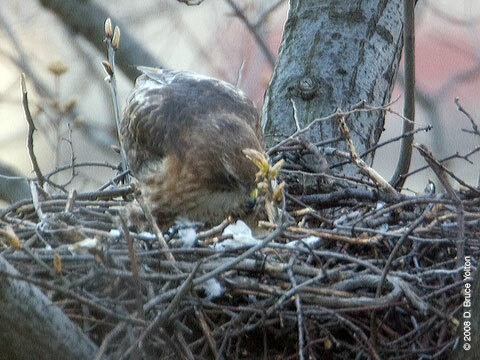 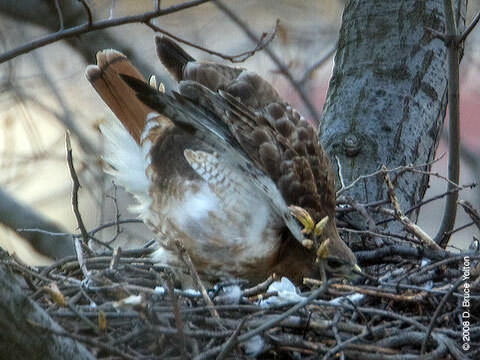 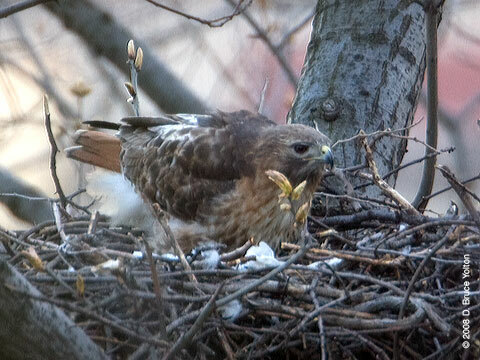 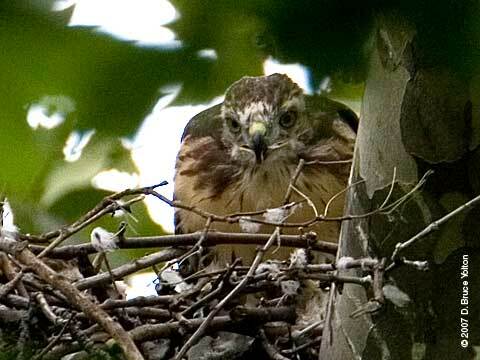 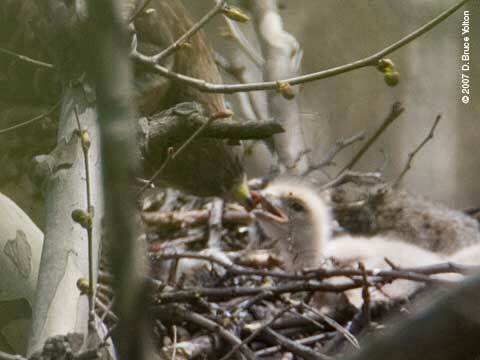 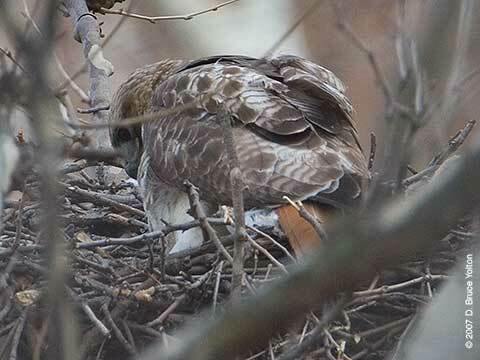 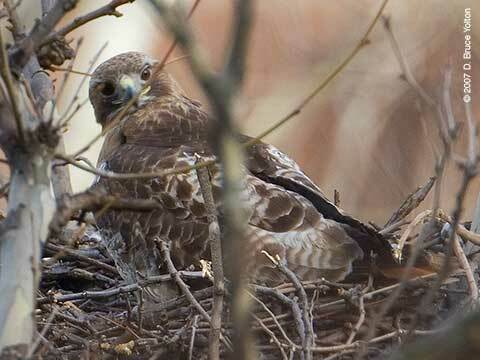 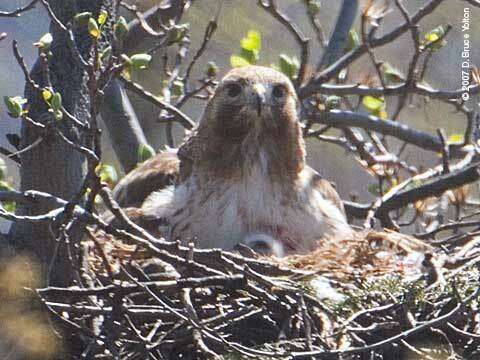 The Highbridge nest hasn't hatched yet. 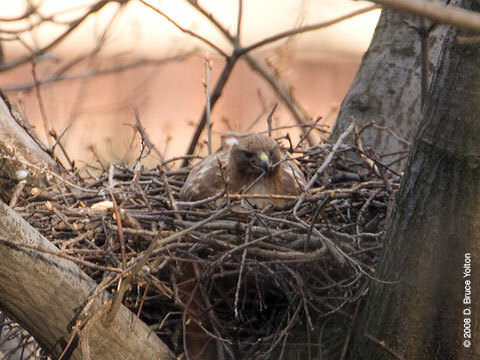 I went up hoping it would be Manhattan's first nest with eyasses, but not yet. 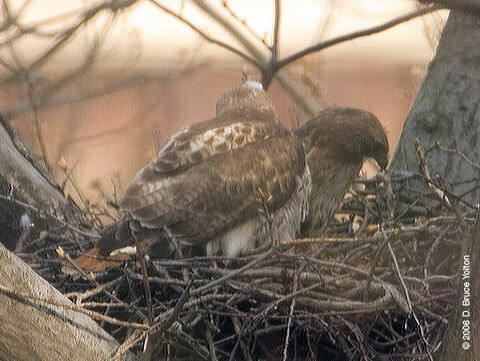 The female was sitting when I arrived. 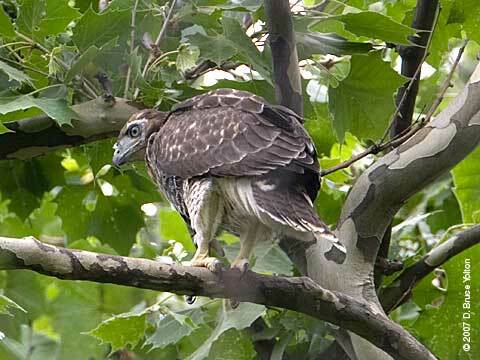 The male arrived on a nearby tree being chased by Blue Jays. 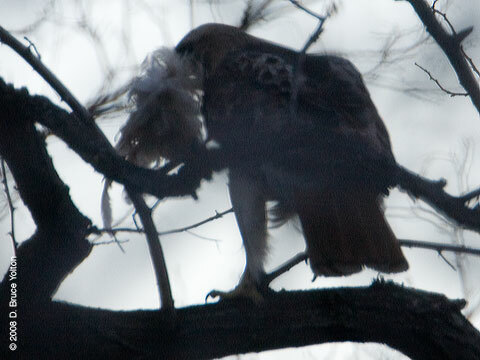 He eat HIS meal in sight of the female, but didn't bring her any food or give her a break while I was there!